What does your Skincare actually do? Are Expensive Products Worth It? The Au Natural look is the most sought after makeup look, right after the perfect smokey eye. The Au Natural look makes it look as if no effort has one into your morning and that you’ve woken up looking naturally primped and polished in the most sophisticated way possible. The Au Natural look is suitable for all occasions. It wouldn’t look out of place at an interview, a family gathering or even a night out. The look makes you look extremely healthy and gives you a certain glow that is associated with youth. To start off with I would recommend moisturising with a very light moisturiser, just to give the makeup some kind of base to work on. It also tackles any flakiness that you may have on your face. Pay particular attention to the eyebrow area and around the nostrils as these are the places that often get neglected and therefore, look the flakiest. Rather than using a foundation; opt for something that has a hint of moisturiser in instead. Anything along the lines of a BB cream, tinted moisturiser or a CC cream all give you a base colour, but still hydrate the skin giving the most natural makeup look. I prefer a tinted moisturiser such as Benefit’s You Rebel, which has the ability to match your skin tone so there’s no worry about picking the exact, perfect colour for you. For the best cover use your hands and get properly stuck in. Apply the product onto your fingertips and rub your hands together. Pat your face rather than rubbing, as this gives a more even coverage all over. A powdered blusher is not going to work in a natural look, as it will make your skin look to matte. It is much better to either use a cream blush or a cheek tint. However, if you’re new to cheek tints I wouldn’t use them until you’ve managed to have some practice with them as they are very difficult to apply. 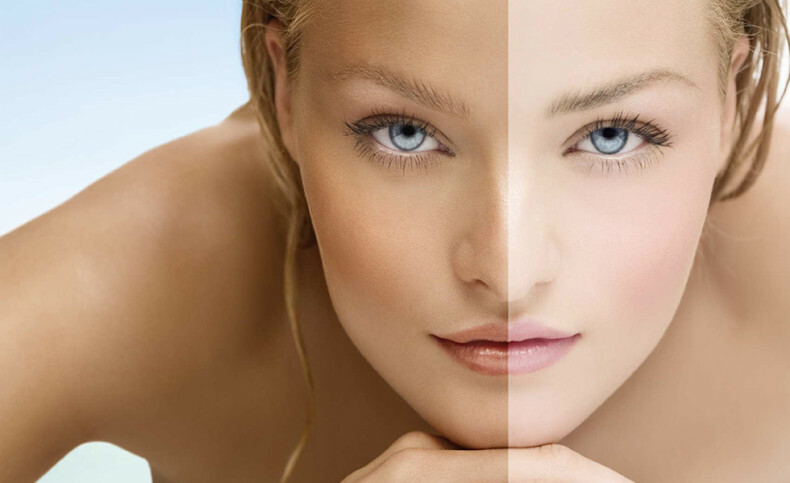 You need to be extremely quick and confident with a cheek tint for them to look perfect. So instead, a cream blush such as Maybelline’s Dream Touch Blush is an easier option. Try and choose one that matches your lip colour, as this is more likely to be the natural colour your cheeks will go when they are flushed. Having a healthy sheen to the lips is key to looking natural. A lip balm is going to be more successful rather than a lip gloss. Using one that has a touch of colour can give a natural look to the lips without looking too aggressive like a lipstick. Nivea’s Lip Care Soft Rose is brilliant for moisturising the lips thoroughly, without leaving them looking greasy, whilst at the same time adding a natural hint of colour to the lips. I would recommend not touching the eyes at all. Apart from to curl them, just to give them that extra bit of definition. If you do feel bare without something on your eyes, then it is better off using a brown coloured mascara as it looks more natural than the typical electric black colours.